Julie could not have imagined her life taking the difficult turns it did. She had a successful career as a radiologist and felt stable in her life and marriage. Suddenly, her husband left and shortly afterwards, she faced a cancer diagnosis. Julie also began to have heart problems and needed a pacemaker installed. Her health issues have taken a terrible toll on her physically and emotionally, and have also left her struggling to make ends meet financially. There are times where she cannot afford food. 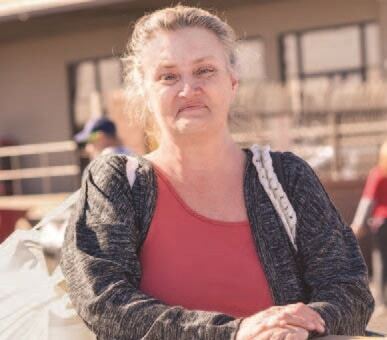 Julie said St. Mary’s has been vital in providing the basic food staples she needs to keep her health in a good place. “St. Mary’s is a blessing and I would definitely go without if not for your incredible help,” she said. Through supporters like you, we can continue to help individuals and families that have fallen on hard times like Julie.